Over the last six years the industry has adeptly managed a “great recession” and series of unfortunate, albeit historically rare, ship incidents. 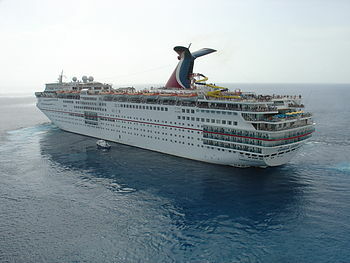 The Carnival Triumph (on the heals Costa Concordia the year prior) impacted Carnival Cruise Line actual revenues by about -5.8% from the original 2013 estimate (having been projected two months prior to Triumph in November 2012). The other cruise lines ended the year in line with prior estimates. Looking forward to 2014 the industry is expected to begin its normalization towards historic growth trends. • Total worldwide cruise capacity at the end of 2014 will be 453,211 passengers (a 3.2% increase over 2013) and 292 ships. • The average per passenger per day spending is projected to be $214.44, with $162.69 ticket price and $51.74 on board spending (average cruise duration 8.0 days, median duration 7.0 days).